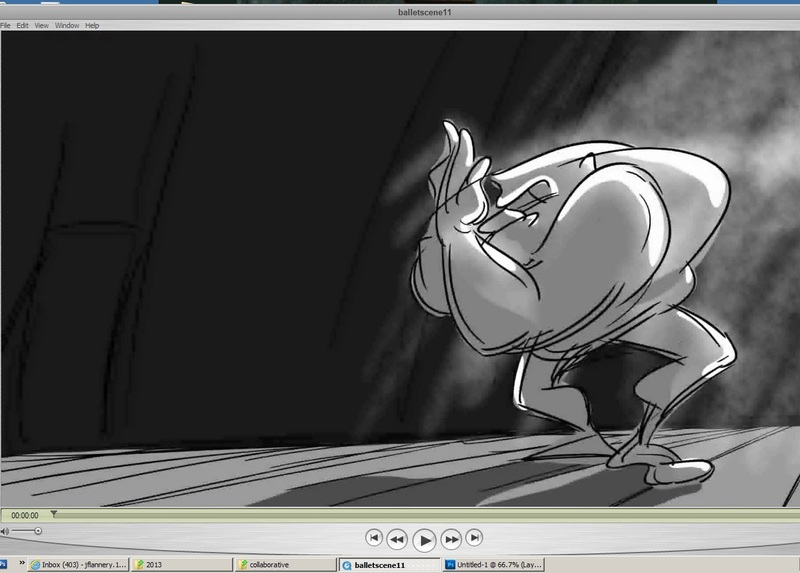 This week I got started on drawing and coloring the background layouts for my Gap Project/Ballet short. 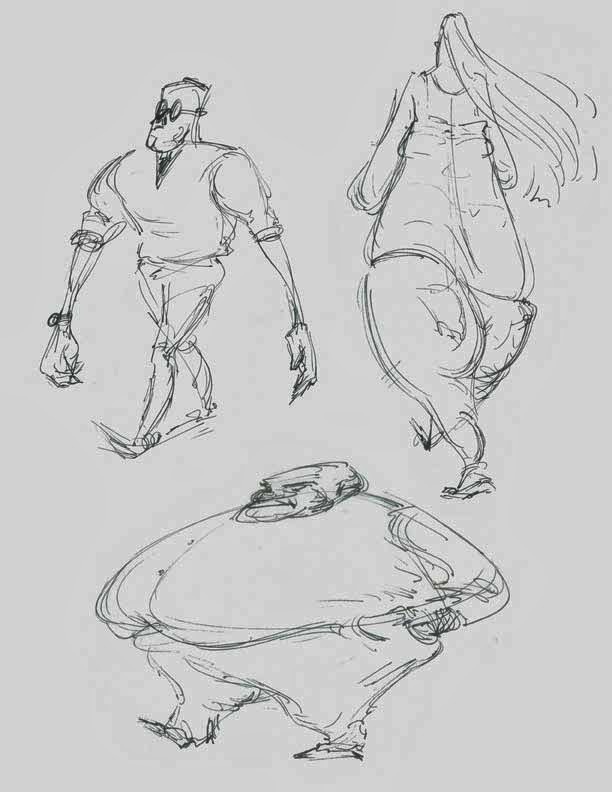 Here are the first 3. 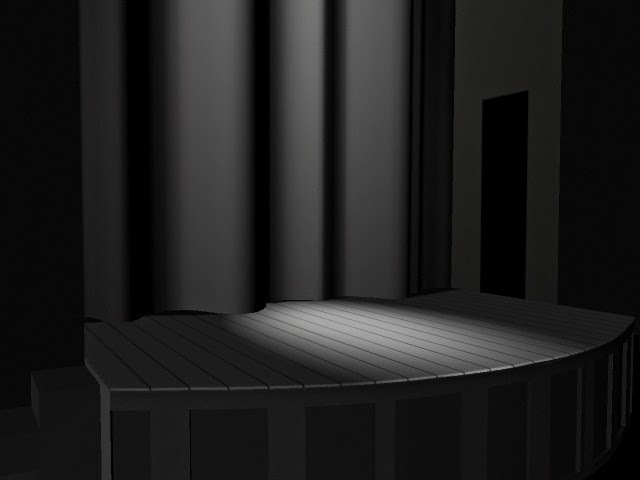 Also there is an image of the 3D stage with most of the textures applied. 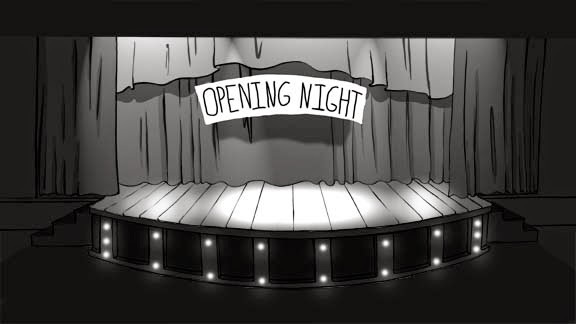 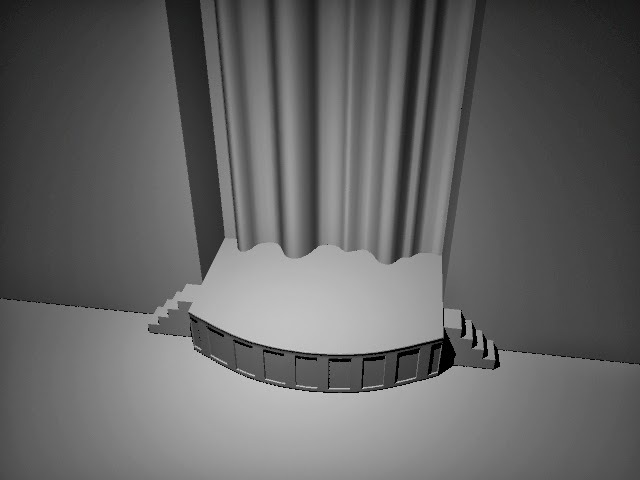 The textures are made in photoshop so as to fake the 3D lighting, so even though only the curtain and floor look lit, there aren't actually any lights in the scene. 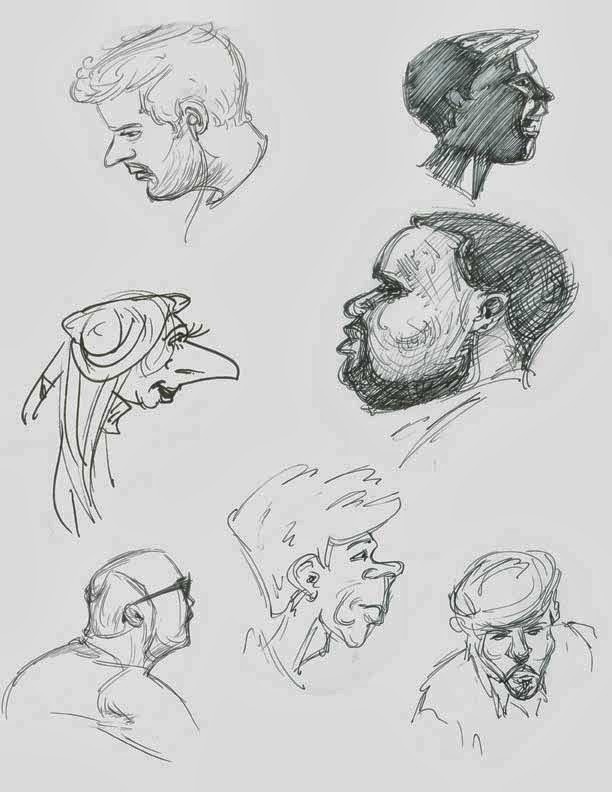 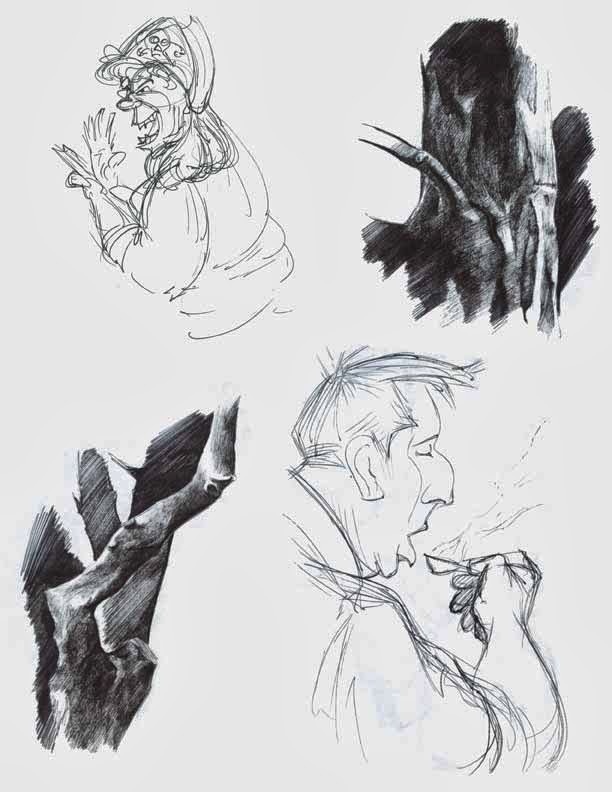 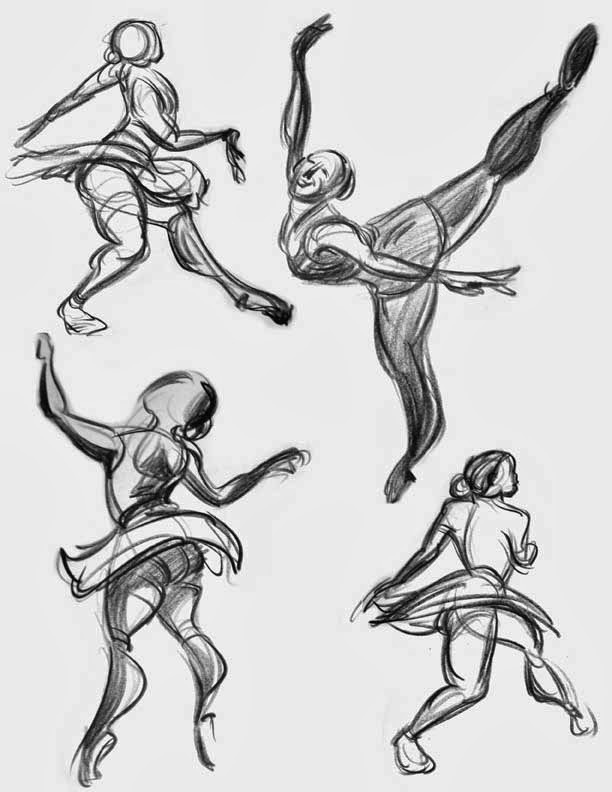 These are a selection of quick life drawing sketches that I did from September through December of 2013. 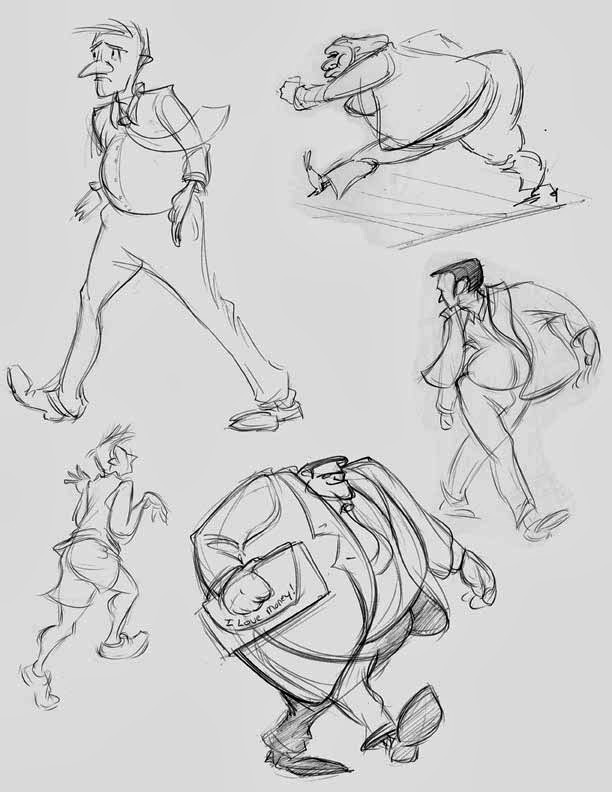 Over the course of those few months I probably did around 500 or so of these quick, gestural, and caricatured sketches, and these are the best ones of that bunch. 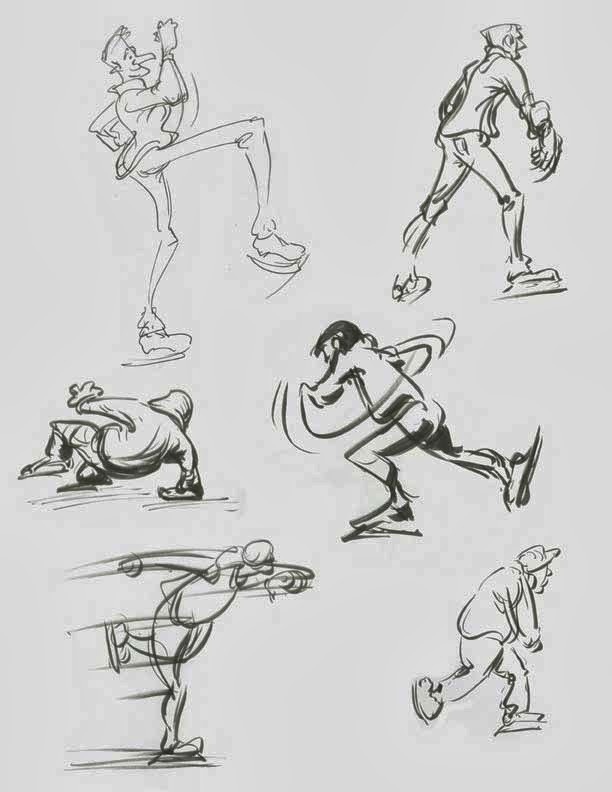 Most of them were done with ink pen, ballpoint and micron, but there are a few in wax china marker and micron brush pens too. 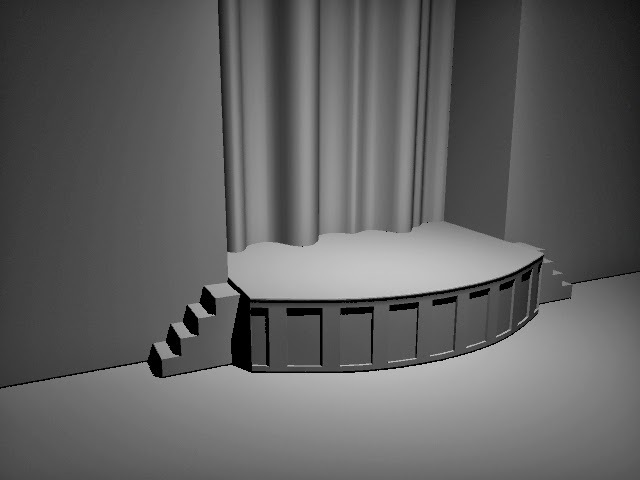 This week I finished another short scene for Aria, and for my Gap Project I updated the stage model with more details and began mapping out the UV coordinates. I also started drawing the final layouts for my 2D backgrounds. 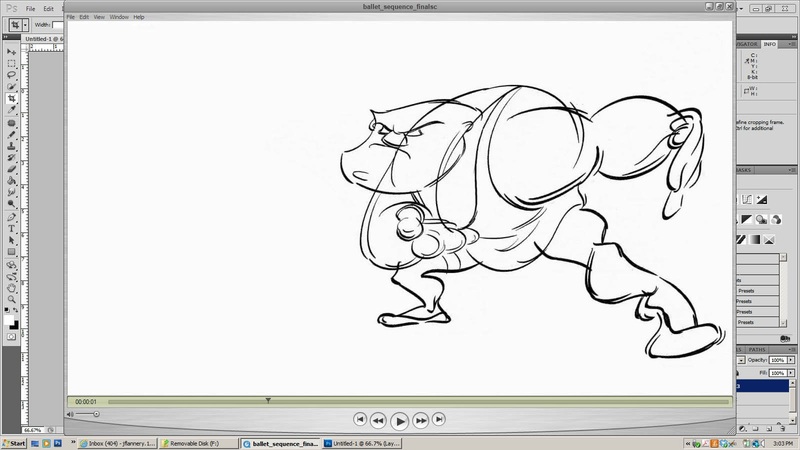 Those drawings should be finished and colored by next week. 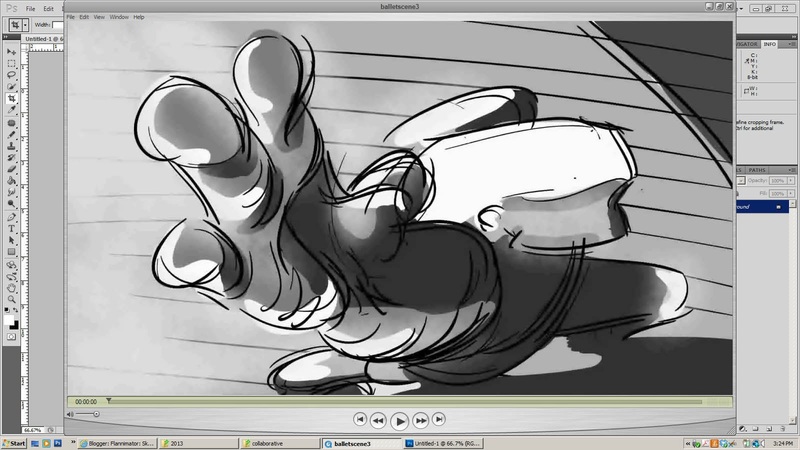 I started and finished scene 13.01 for Aria this week, here it is colored and all. 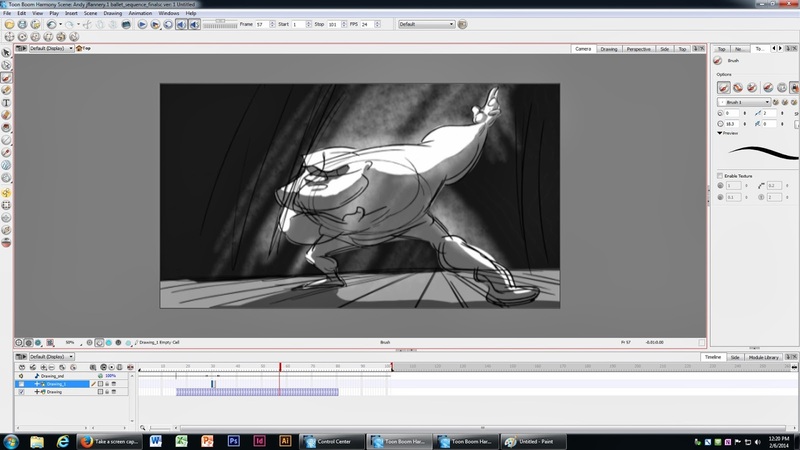 This week I finished this scene for Aria. All of these scenes are almost fully animated. 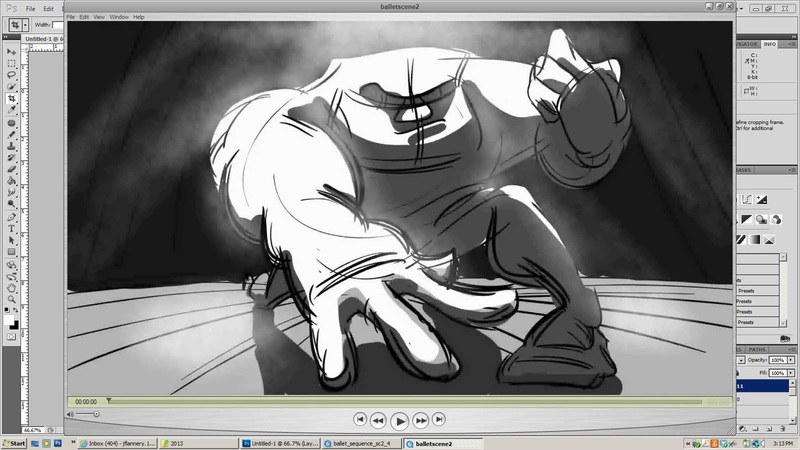 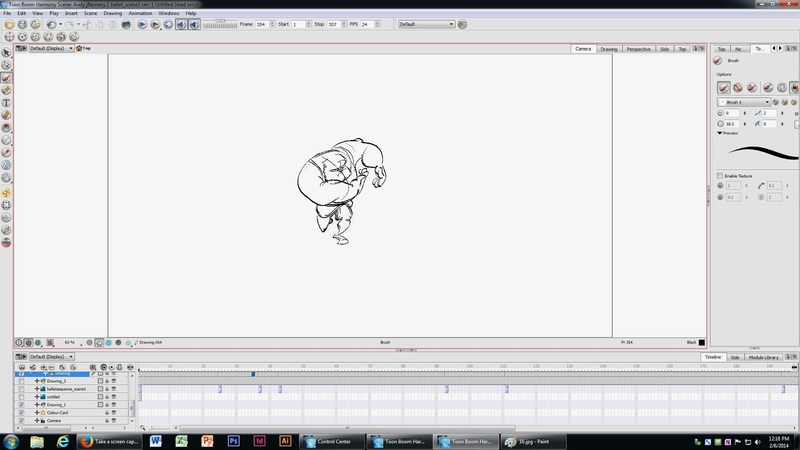 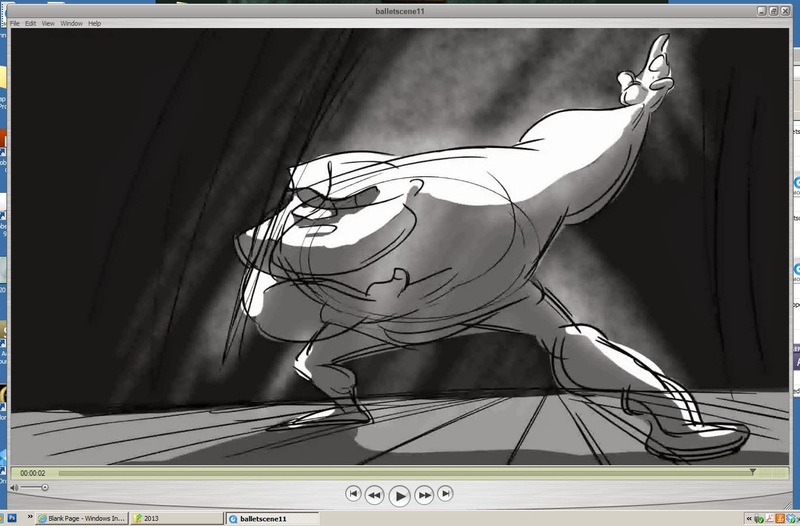 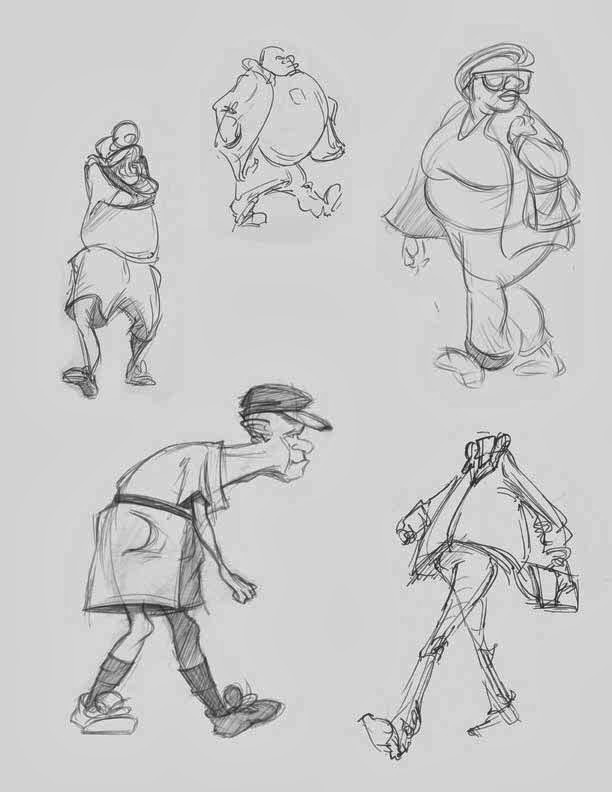 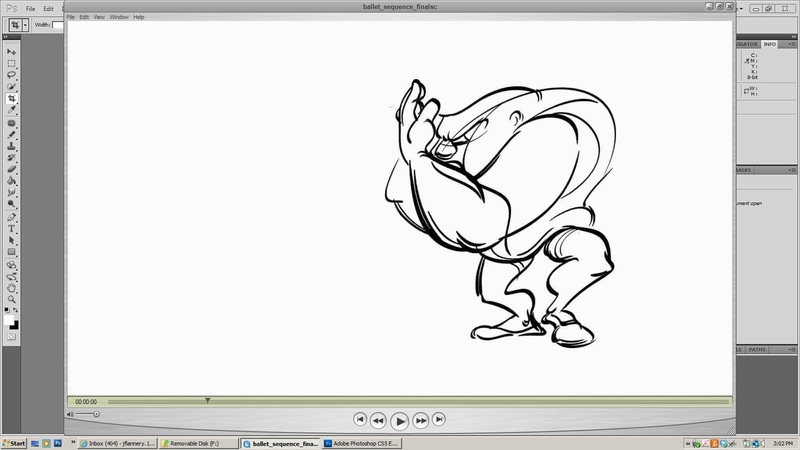 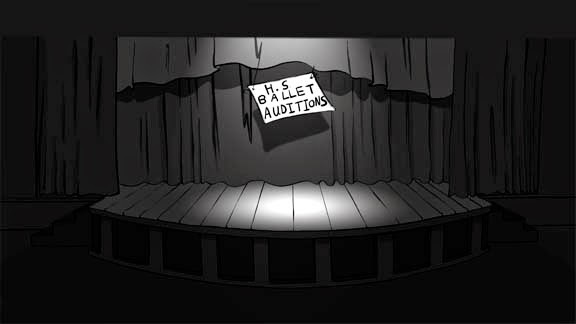 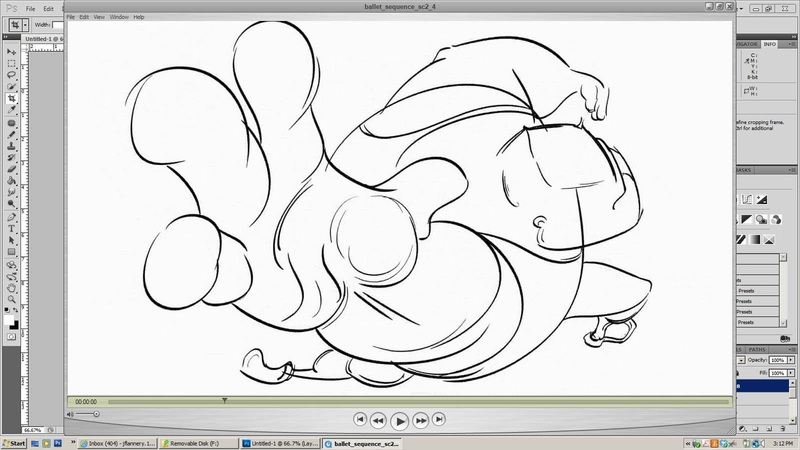 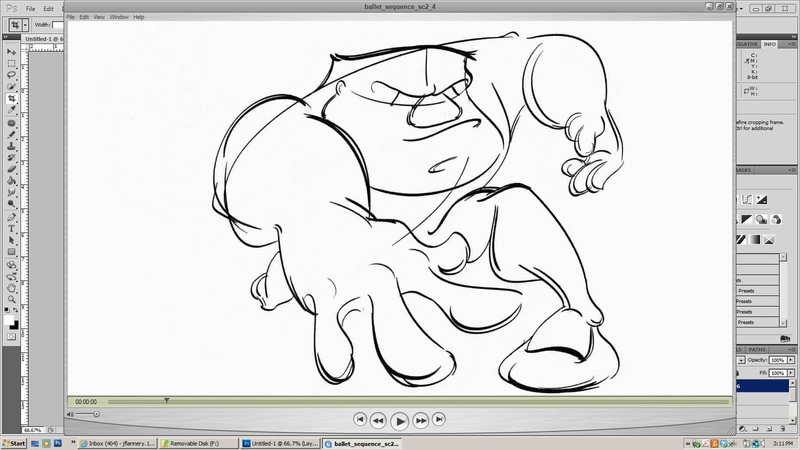 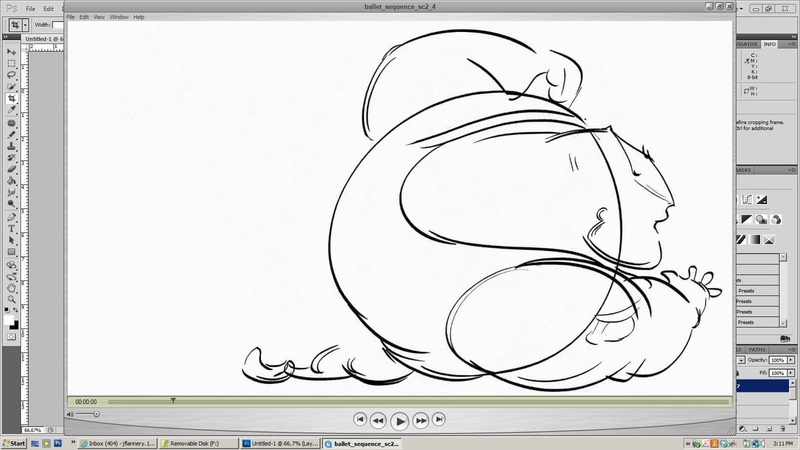 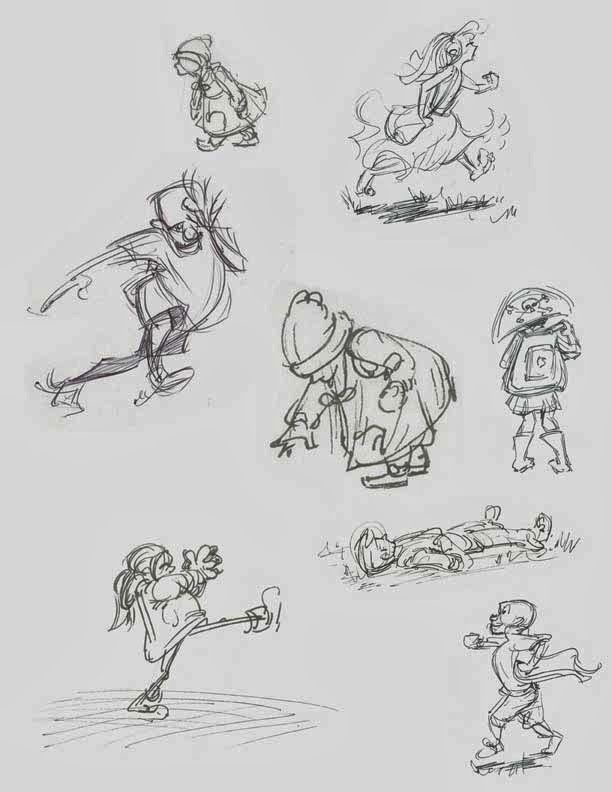 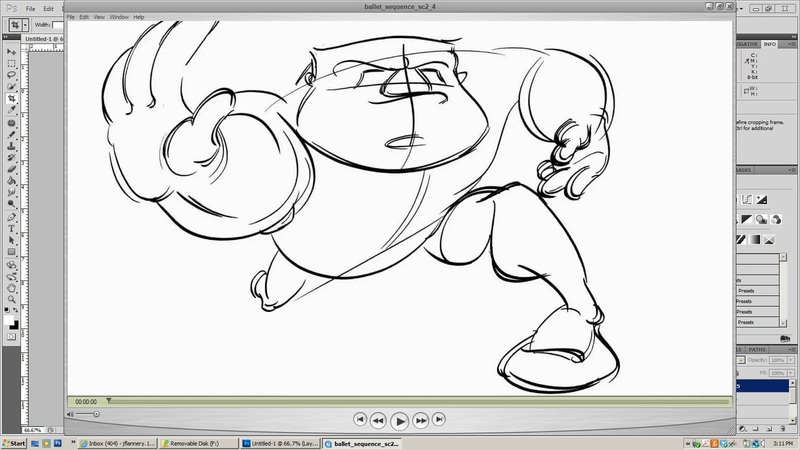 Each scene is presented with the storyboard image first, and then some of the animation drawings following the boards. 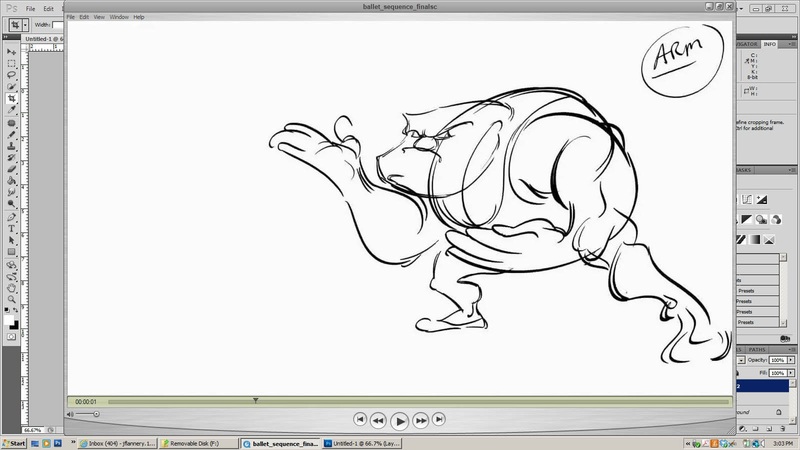 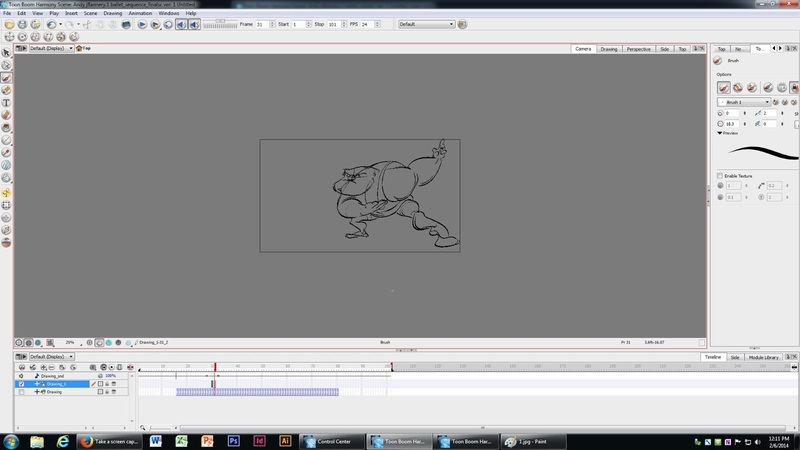 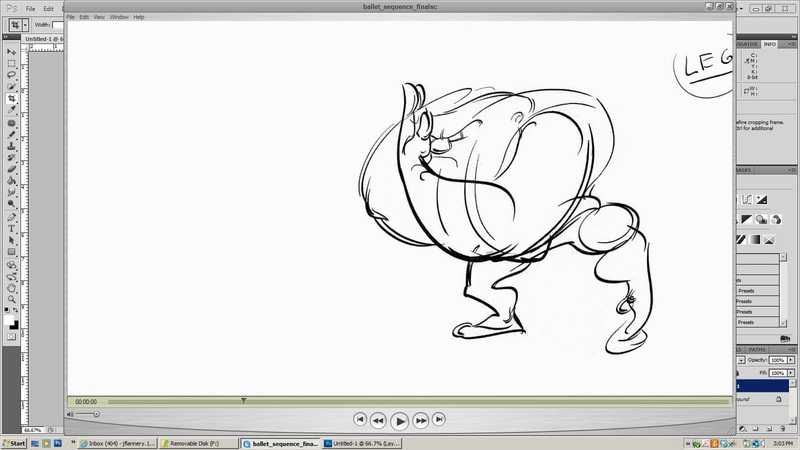 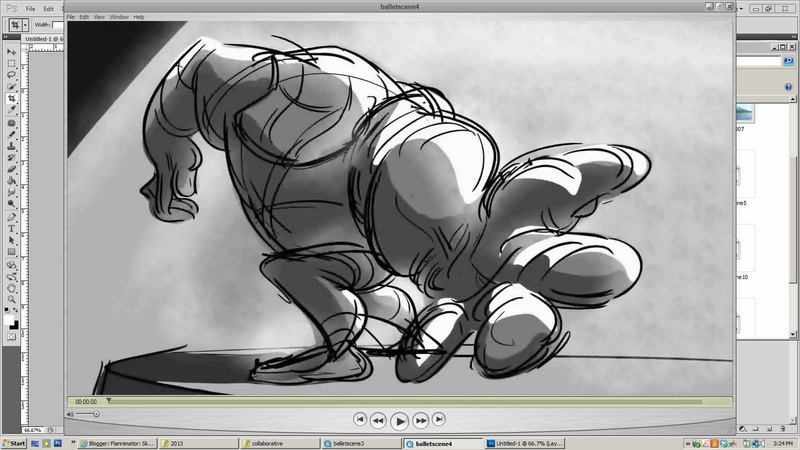 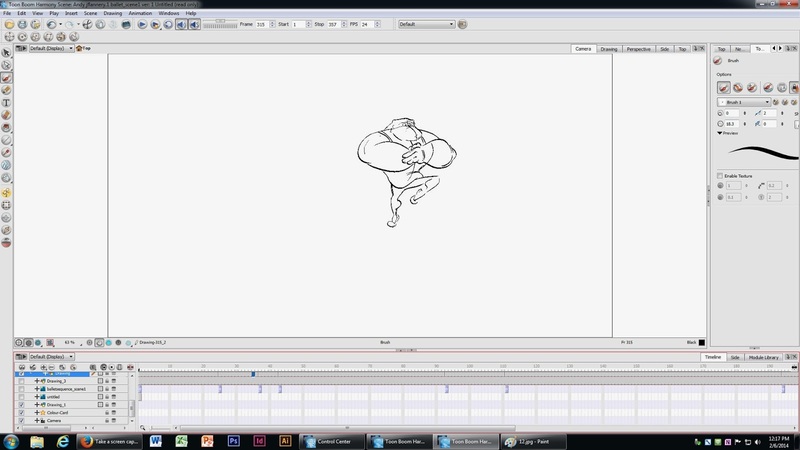 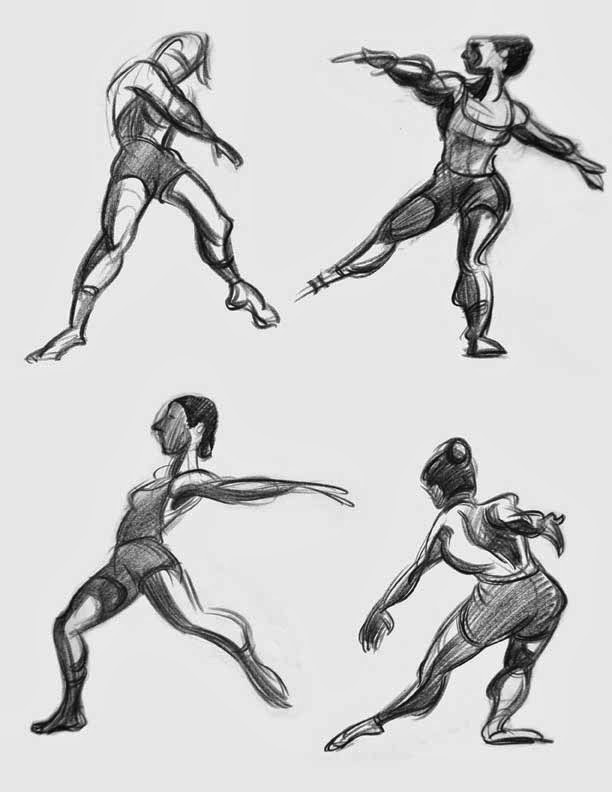 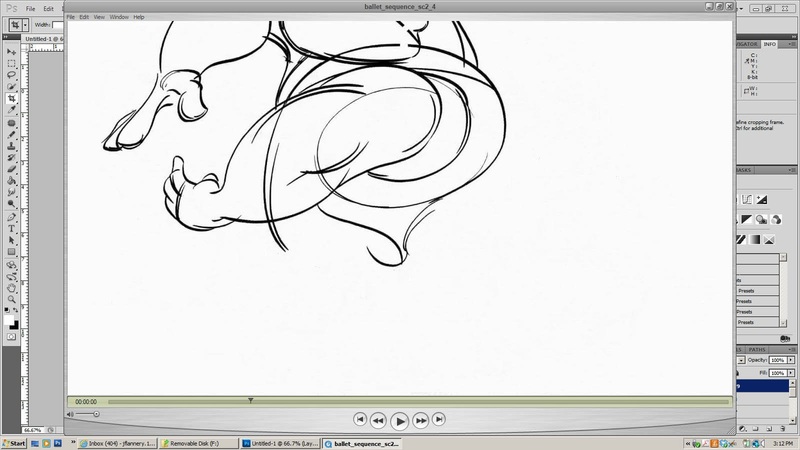 This week I began animating the ballet sequences in my short film. 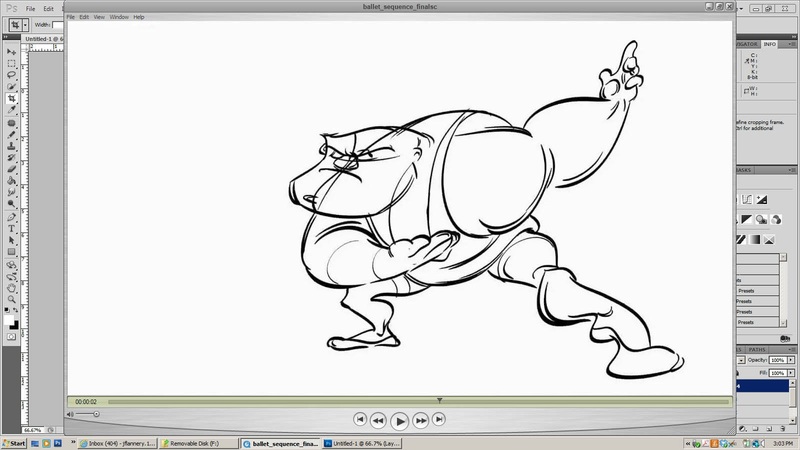 I finished the key poses for two scenes so far, and have begun working on a third. 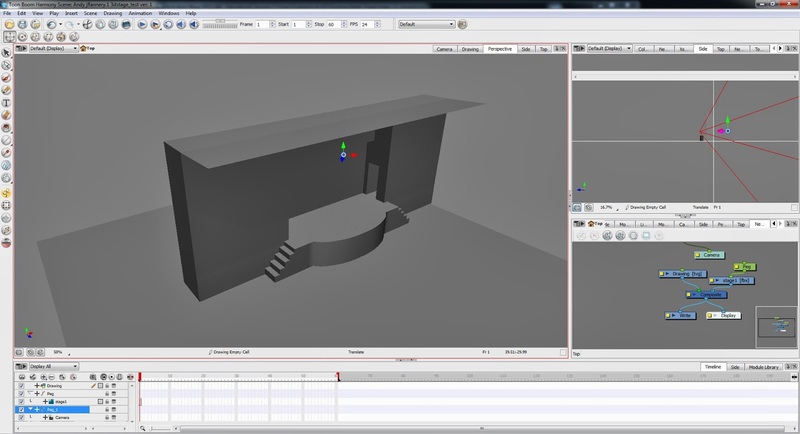 And after several failed attempts, I finally got my rough 3D model imported into Harmony. 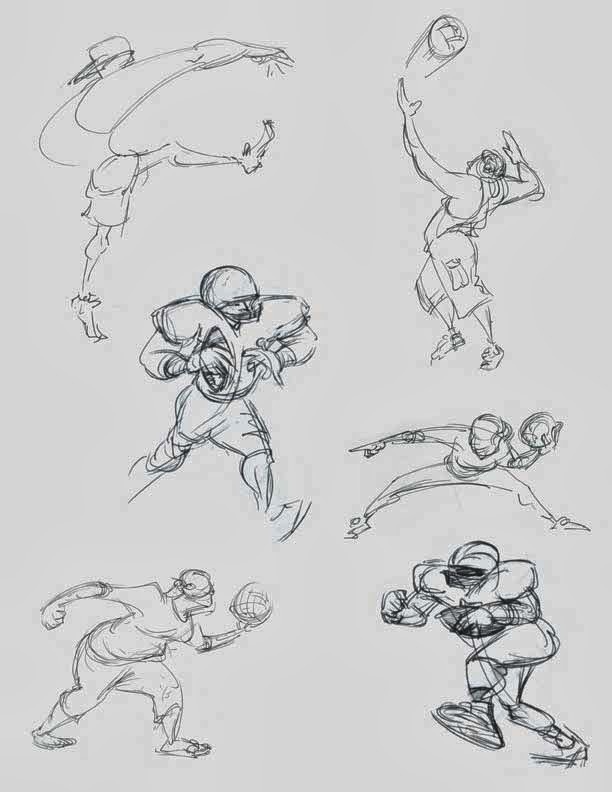 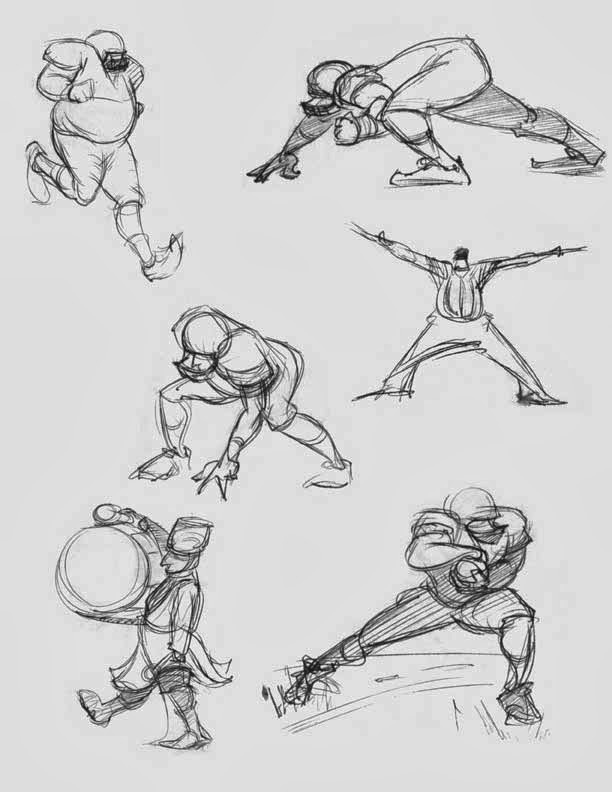 Here are the screen captures of most of the key poses. 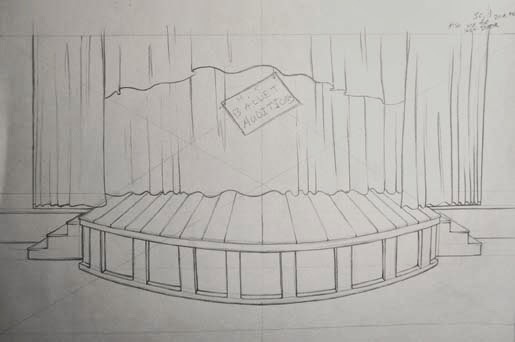 This week I will begin drawing out detailed background layouts, but right now they have no background. 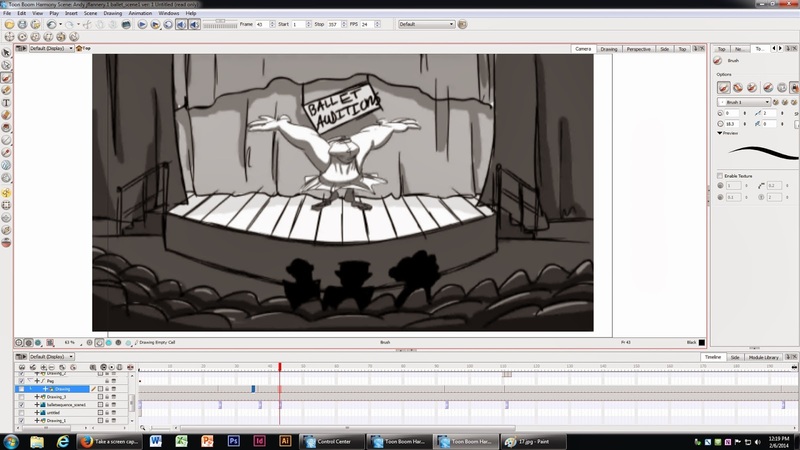 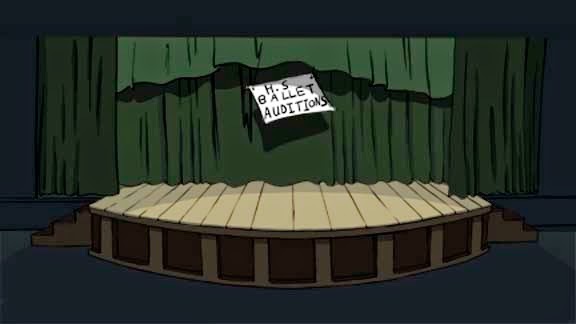 Also included are the original storyboard panels of both scenes, these have backgrounds and grey shading.